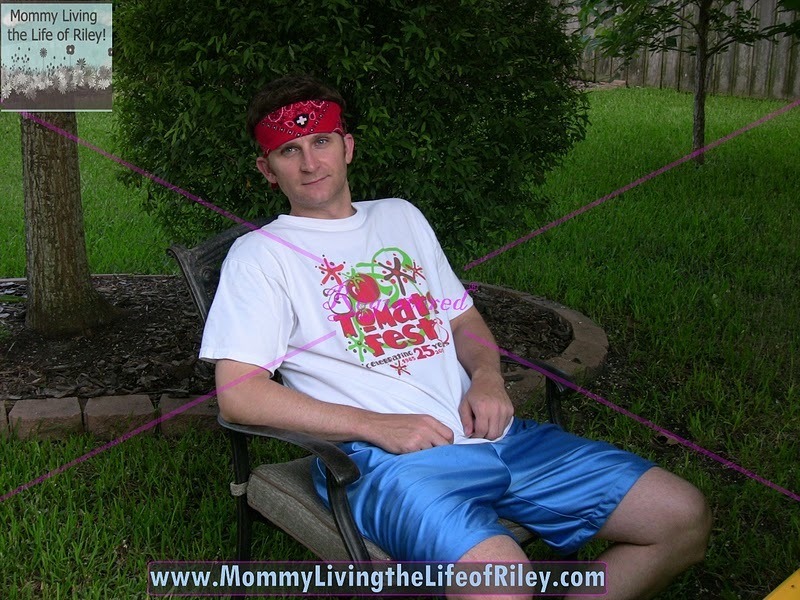 « *** WINNER of the Flojos Men’s Warrior Sandals Giveaway *** ky2here is Living the Life of Riley! Summer is a great season filled with plenty of fishing, camping and other outdoor adventures. Unfortunately, it is also the time of year that you will be tormented by various insects. Nothing ruins a picnic, round of golf or other outing more than being eaten alive by mosquitoes. In Houston, where the temperatures are high and the summer rains bring plenty of standing water for mosquitoes to breed in, going outside can be a nightmare. I hate spraying Riley down with toxic bug repellents which then make her smell the rest of the day. Even then, the mosquitoes around here will still bite her on her face, in her hair and even through her clothes. Thankfully, there is a company called Insect Shield which actually makes bug repellent CLOTHING! I reviewed 5 of their unique bandanas with my family to see if they could keep us free from the wrath of the mosquito this summer! I reviewed the Insect Shield Bandana, which retails for $9.95 each. I'm lucky to have never been a huge target for mosquitoes, but unfortunately my daughter and husband are. It doesn't matter where we are or how long we're outside, if there's a mosquito anywhere around, it will somehow find my husband and now, Riley. When they do get bit, their bites swell up into something much larger than the regular mosquito bite. I guess it's something about their scent that mosquitoes love. Right now, we have our entire backyard "mosquito-proofed" as much as possible and it definitely makes things tolerable. But, we love going on walks with Riley and taking her to the park too. What can we do when we have to leave the confines of our backyard? Fortunately, Insect Shield has the answer. It also doesn't just protect you against mosquitoes either! Insect Shield clothing repels mosquitoes, ticks, ants, flies, chiggers, and midges (no-see-ums) too. Now, when we go outside, we wrap a permethrin treated bandana around our wrist, head or neck and notice much more protection from those pesky mosquitoes. Michael and I still do get bit occasionally by a mosquito while wearing our Insect Shield bandana, but I believe that is only because one bandana might be a little small to adequately protect an adult in an area where mosquito infestation is so heavy. I do believe that if we were to wear more Insect Shield garments, that we would be fully protected, no matter where we went! The super cool thing I found while reviewing the Insect Shield bandanas is that they will actually treat YOUR OWN CLOTHING if you'd like them to. For as little as $9.95 per garment (even cheaper if you want 3 or more garments treated), you can have any item of clothing you already owned treated with the patented Insect Shield technology. I definitely plan on doing this for my own family. Perhaps we can finally take back the outdoors from the insects! Disclosure: I received five bandanas from Insect Shield in order to facilitate my review. No other compensation was received. This product review is based on my own personal experiences with this item and is completely honest and objective.